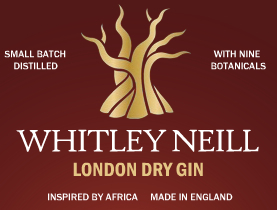 Created by Johnny Neill whose family has been in the gin business for four generations, the botanical mix in Whitley Neill is both deft and delicate, with a nod towards the South African homeland of Nikki, Johnny’s wife’s. Scooping the International Wine & Spirit Competition’s Gin Trophy this year, alongside the expected juniper berries, it's Cape Gooseberry – aka physalis – and the fruit from the Baobab tree – aka the Tree of Life – that join half-a-dozen other botanicals. With notes of dried fruit and light spicy hints, Shepherd Neame's Christmas Ale is a refreshing amber beer with enough malt magic to complement the rich festive fare without heading into flavour-overload. With its stylish mix of five specially selected malts, this has lots of flavour and weith. The caramelly sweetness is in perfect balance with more weighty hobnob and light milk chocolate biscuits. Delightfully ruby in colour, this Munich-style beer has a lovely, digestive biscuit nature on the palate, a medium maltiness and a light bitterness on the palate. 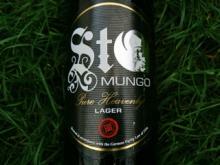 4.9%, available from the brewery & a number of other key locations, such as the Euston Tap and Malmaison. 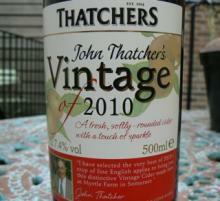 With this cider, it's easy to see why Thatchers has such a good reputation. There's a really great level of carbonation which just lifts the flavours. Perry pears are very different to dessert pears, often being much rounder and smaller in shape. 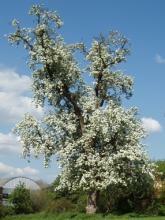 Some hail from ancient trees, such as this 150-year-old Barland perry tree, seen here in Tom Oliver's special orchard. 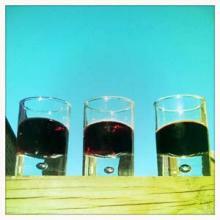 These three berry-based liqueurs in varying brilliant shades of red are all especially appealing at this time of year. They're dark, sumptuous, intensely aromatic and offer the warming comfort of a mulled wine or port, with the added appeal of being made with English-grown fruit. 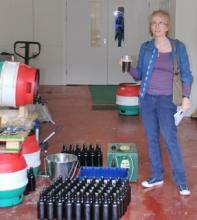 All three expressions - sloe, black cherry, and elderberry port - are new additions to the Lurgashall range, thanks to the stellar efforts of owner and producer Sarah Thompson who only took over the operation a year ago and has spent her time fruitfully by befriending producers in her area with gluts of berries to share. Named after Glasgow's local patron saint – and a brewer himself – in typical WEST style, this packs more flavour in than you might think while still sticking to all-important German 16th-century beer purity laws. The sub-title – pure heavenly – seems appropriate. This is refreshing, with a light bitterness on the finish, plus enough flavour to go well with food. While on our Summer Roadtrip, James and I were thrilled to try the first bottling of Portland Black, brewster Claire's third regular ale. With a lovely nose of chocolate and coffee, it's all about the delicious malt in the mix, with rich dark and milk chocolate flavours and a sprightly lift to the finish. Packed with hops, this is not for the faint-hearted. 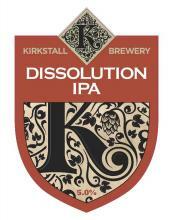 But then this new brewery, established by Vertical Drinks founder, Steve Holt with ex-Elland head brewer Dave Sanders at the helm, was never going to go quietly.